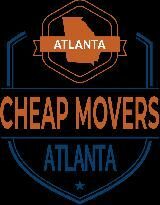 Cheap Movers Atlanta provides moving and storage services to customers in the Atlanta metro area. We handle both local and long distance moving needs, so whether you need help getting moved in the Big Peach or across the country, we've got you covered. Our licensed and insured movers have years of experience helping our customers relocate, so you can trust that you're things are in skilled hands. Give us a call today to get a quote! If you need a moving company near Suwanee GA, do not hesitate to call Georgia Pack and Load Moving & Storage Inc at (770) 458-2510. Make the right move by choosing our professionals.